Charming sea-view rooms ranging in size from 22.08 m² to 32 m² offering all the comforts of home with a king-size bed or twin beds with double mattresses. A free WIFI system available in all rooms. 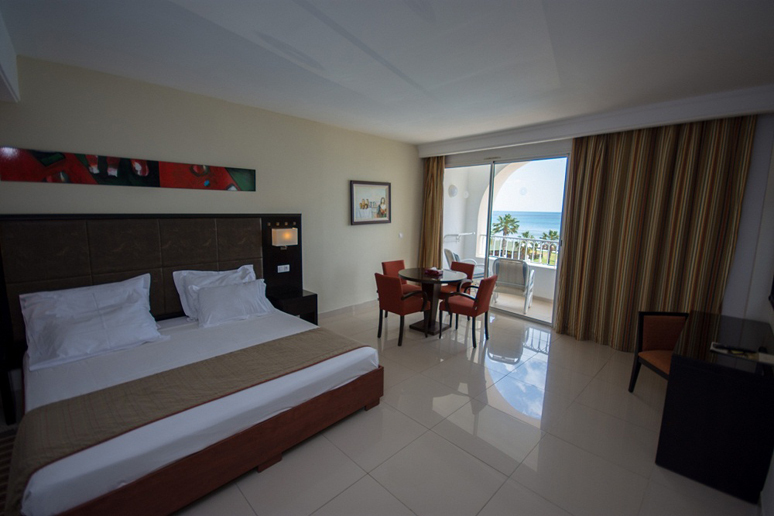 The sea view rooms are equipped with a minibar, air conditioning and a safe. Pleasant garden view rooms ranging in size from 22.8 m² to 32 m² with spectacular views of the fabulous garden, these rooms have a king or twin bed with double mattresses. All rooms are equipped with a minibar, a free safe and a WIFI system available in all rooms. A beautiful spacious suite with an area of 32 m² that offers a perfect view of the sea and the pool with VIP treatment for all suites.